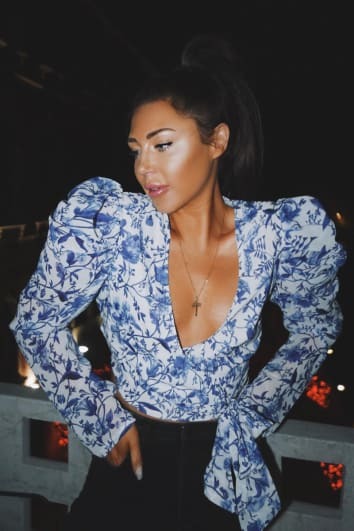 Discover the exclusive new collection from Instagram queen Lorna Luxe. From staple knitwear pieces to classic tailoring and statement dresses. Porcelain print is the latest new trend on the block inspired by the streets of Lisbon, indulge in the look with wrap over blouses and long sleeve, open back dresses. Looking for a more casual look? Go for a jean combo with slouchy roll neck jumpers, stonewash jeans and heels. Wanting to suit up and look sharp?... check out the longline check blazer, smart trousers and tailored coat to suit your vibe. You can never have too many coats right? Shop pure femininity with Lorna Luxe – “Breathe it all in, luxe it all out”.